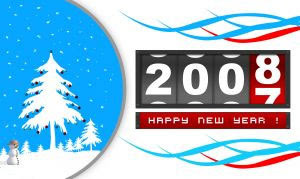 As 2007 is fast drawing to a close, I have created a New Year banner which you can easily install as a widget in your blogs as a seasonal banner for your visitors. This banner will sit at the top right hand side of your blog, providing seasonal decoration to your theme in a way you can easily delete when no longer appropriate. I have made this available in both PNG (see top right) and GIF format which you can install in your own blogs as a widget. I have not linked the image to anything, though a link back to this page in your blog is welcomed, and could inform your readers where they can get their own festive banner. PNG format: this is the style you can see in my own blog. PNG is a better format for images with transparency, but you will need to ensure you have also installed the PNG fix for IE6 and below, otherwise you will see a grey background to the image! GIF format: this is suitable for all blogs and browsers, though the image quality isn't quite as good. Use the appropriate button below to install your own New Year banner with just one click! You can easily remove the widget whenever you like by simply opening up the widget and clicking on the "remove page element" button in the pop-up window. It's been a good year for Bloggers: after "new Blogger" came out of beta, a great many new features have been added over the past twelve months. So as the year comes to a close, here is my own review of a year with Blogger, including some predictions for the year ahead. 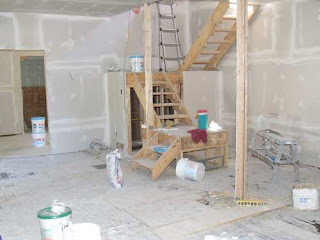 Back in the later part of 2006, Blogger had released the new layouts templates out of beta, which meant many bloggers were enjoying the flexibility and ease of widgets, easy customization and better publishing. Though the changeover may have been somewhat difficult for some, many new blogs had sprung up offering their insights and experience of this new system, including Testing Blogger Beta and Blogger University, paving the way for many "new Blogger" hacks to be developed, and helping other Blogger users to realize the full potential of this excellent new feature. Another great new feature released in January was that Blogger began to support the "Custom Domains" service which enabled users of the new Layouts templates to link top level domains to their blogs. This excellent feature bode great promise for search engine status with many Blogger hosted blogs; furthermore, it is a cheap and effective way of establishing integrity and brand recognition, since Blogger still hosts the blog for free (you only need to pay for the domain name itself)! In March, Blogger released two new widgets for use with layouts blogs: Newsreel and Video Bar. The Newsreel adds a stream of headlines from Google News to your widget based on keywords you choose when installing the widget in your blog. These headlines constantly update, so you can be sure relevant and up-to-date content is displayed in your blog. The Video Bar uses your chosen keywords to find suitable videos from YouTube and Google's Video Search which are displayed as small icons in the sidebar. When a visitor clicks on a thumbnail, the whole video expands into the main posts column. A pretty cool development for Bloggers who want to keep their blog fresh with dynamic content! Also in March, Blogger and Picasa joined forces; all of the photos you upload to Blogger are now also contained in your own Picasa web albums, for easier access, sharing and viewing. French Toast Girl became Blogger's 100th Blog of Note (for those of you unfamiliar with the blogs of note, these are part of an ongoing list of blogs which the Blogger team have found to be interesting and somehow notable). April was also the month of languages for Blogger: Hindi transliteration was introduced, and also Blogger was translated into Nederlands, Türkçe, Dansk, Norsk, Svenska, suomi, Русский, and ภาษาไทย (bringing the total number of languages to 19), assisting even more international bloggers in the creation of new weblogs. Now May was a rather significant month for Blogger: this was the month in which the "old" blogger interface was 'dismantled' to pave the way for New Blogger (layouts and all) to reign supreme. 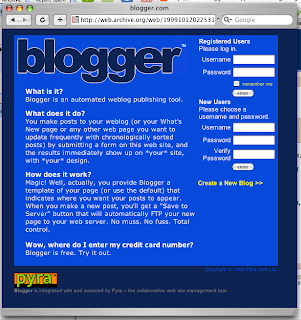 From May 4th onwards, all Blogger users were required to use the new system. Although bloggers are still allowed to maintain their classic templates, the login and dashboard are now of the new Blogger format, and new members are required to create a Google account in order to use Blogger's service. Auto-saving of blog posts was another very useful feature which was made available in May. No more worries about power cuts deleting the post you've been working on four hours anymore! For bloggers interested in testing out new features before they are publicly released, Blogger introduced "Blogger in Draft", where you can use and review features unavailable in the regular Blogger dashboard. In draft, many of the new features are still buggy and not quite so well-featured as we would expect of a public release, though I still consider it honorable of Blogger to allow us the use of beta functions in order to help develop an altogether better format for the community. Seventeen new languages were added to Blogger's list of translated formats, bringing the grand total to a whopping thirty six! All in all, the halfway mark of the year proved to be a rather productive month for the Blogger community as a whole! For me, the most important feature added to Blogger in July was the redirection of blog feeds to your specified URL. A great many bloggers used Feedburner to syndicate their feeds, but were unable to get any accurate details of their subscriber list which was generally torn between Feedburner and Blogger URLs. With this new feature included in the options page of our dashboards, we could all be certain that our Blogger feeds were being redirected to a central place, and that all of our subscribers could be accounted for. Blogger celebrated it's eighth birthday on the 23rd of August. Just look how much the format has changed since the old days! It's quite an achievement to know that Blogger has been around so long, especially considering that with it's thousands of international users, Blogger is probably the biggest blogging community in the world! Propelling the eight year old service into the future of blogging was the addition of video uploads, allowing vloggers (video bloggers) to upload their latest installments with ease, right into the body of their blog posts! In the month leading up to my birthday (! ), Blogger uploaded Blogger Play for public use. Using this nifty little feature, you can view an endless stream of the latest photos which Bloggers have uploaded, making interesting viewing for those times when you suffer a but of writer's block. While not one of the most useful features currently available to Blogger, it certainly makes a change from watching a blank space in the edit posts section of our dashboard! From October onwards, we were able to subscribe to a Blogger post's comments by email, a feature welcomed by most as a much easier way of keeping track of the conversation which often follows a really great blog post. Currently this feature is only available to those who have a Google account, though it's certainly proved useful for the times I've needed to keep abreast of further comments after leaving a question on another blogger's blog. 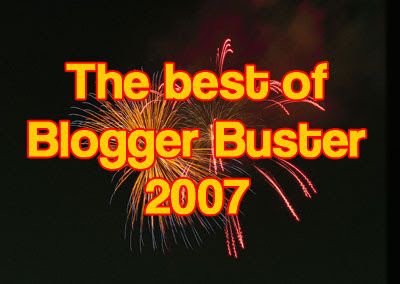 It was no surprise that in November, Blogger won an award for being the best blogging host in the 2007 Blogger's Choice Awards: an admirable achievement which surprisingly didn't get a mention in the Blogger Buzz Blog! November's latest Blogger widget was the Slideshow, which allows you to create a dynamic show of your favorite photos from Flickr, Picasa or any other service which supports media RSS. 2007 is now drawing to a close, and overall I can honestly say that it's been a greatly productive year for Blogger, albeit with a few hiccups regarding how comments can be posted in these past couple of weeks. So what developments will happen with Blogger in 2008? Well, I think that the Blogger team will focus less on developing new widgets and more on the functionality of the blogs themselves. In recent months, many popular Blogger bloggers have moved their blogs over to Wordpress after feeling discontented with the features currently on offer. Jackbook (who is famed for generating Blogger templates from Wordpress themes) moved over in September, while Blog Bloke is about to move his blog from Blogger on New Year's day. If Blogger can ensure blog authors are more content with how they are able to publish their blogs, I'm sure there would be far fewer 'defectors' in the future! Many bloggers would love the ability to summarize posts on the front page without having to extensively hack their templates to do so. Blog pages would also make a wonderful addition to the Blogger system; this popular feature of the Wordpress platform would make a welcome change to the current Blogger platform and enable us to do even more with out blogs. Although many of you would like to see trackbacks enabled, I sincerely doubt that this feature will be added. And being completely honest, the "links to this post" feature seems to work just as well for Blogger powered blogs, especially as we have the ability to delete the links displayed if they come from a questionable source (something which is more difficult to achieve with Wordpress generated trackbacks). Despite my doubts that Blogger will produce an ever increasing list of widgets, the one thing I sincerely hope Blogger will produce is a Popular Posts widget, so readers can easily see which blog articles attract the most attention at a glance. The one I use in my sidebar was developed by AffiliateBrand, though I really think Blogger should produce their own. Perhaps Blogger will finally release some new generic templates, including different styles and perhaps three columns, in order to follow the recent trends contemporary web design. Of one thing I am certain though: Blogger will continue to develop new features and attract more users to this free and easy blogging platform throughout the year ahead. And somehow I suspect that Blogger has a surprise for us all: a major change in the system which is going to take us all by storm. Wishing you all an excellent start to 2008 and the best of luck for your blogs. 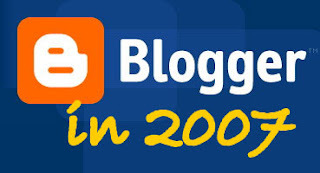 Do you agree with my predictions for 2008, or do you think other changes may happen in the Blogger platform which I have not detailed here? Please do let me know your opinions on this post by leaving your comments below. If you enjoyed this post, please consider subscribing for updates, and be sure to keep updated on the developments here at Blogger Buster for the year ahead! Christmas is just around the corner now, and many Bloggers are decorating their templates with festive themes. Unfortunately my time has been so limited lately and I simply couldn't get a festive Blogger theme ready for download in time for Christmas. So instead I created this festive banner as a decorative bauble for my theme. This Christmas banner will float in the top right corner of your blog, and is great to decorate your blog for the festive season. I have not linked the image to anything, though a link back to this page in your blog is welcomed, and could inform your readers where they can get their own festive banner. Use the appropriate button below to install your own Christmas banner with just one click! After Christmas, you can easily delete your widget, or replace it with a New Year banner instead (which I will be uploading shortly). I write this post in response to Peter's comments on other posts (see here and here) in which he is concerned that Blogger's policies may leave people vulnerable to impersonation. Rather than write a long comment, I think this subject deserves a post of its own, especially as I would like to know your opinions on this matter. In his comments, Peter outlines his concerns that impersonators are so easily able to maliciously slander another person online by creating fictitious comments which link to an innocent blogger's profile, or indeed create an impostor blog pertaining to be written by someone else. Just a little research online uncovers the frightening truth behind this concern. But do Blogger's policies leave us open to the dangers of impersonation, or is this the nature of the Internet? Online impersonation can come in many forms. Blogs such as Poorblogger and John Cow impersonate blogging celebrities in humorous parody, but on the other end of the scale impostor-driven blogs can be harmful, hurtful and may even result in criminal proceedings against an innocent person. As Peter explains in his comments, bloggers in certain parts of the world can be easily detained, and possibly prosecuted for unsavory and salacious content discovered in their sites, whether this be in the form of a blog post or a comment left on their blog (as in the case of Natanial Tan). Impersonation could result in innocent bloggers and webmasters being unfairly detained for content they have not authored themselves. Another case is that of the "Megan Had It Coming" blog, which impersonates Lori Drew, the woman involved in creating a fake MySpace profile of a 16-year-old boy created to start an Internet relationship with Megan Meier, the Missouri teen who hanged herself. Amidst the high profile court case regarding responsibility for Megan Meier's death, this impostor blog profiles the extent of cyber-bullying which can easily be generated online. The "Megan Had It Coming" blog is hosted by Blogger, and while Blogger claim to take a strong stance against impersonation through users of their service, at the time of writing this post, that blog is still available to view. The language of Section 230(c) of the Communications Decency Act fundamentally states that Internet services like Google.com, Blogger and many of Google’s other services are republishers and not the publisher of that content. Therefore, these sites are not held liable for any allegedly defamatory, offensive or harassing content published on the site. So it seems that while Blogger claims not to tolerate impersonation, Blogger will only remove content hosted on its service "if the material has been found to be defamatory by a court, as evidenced by a court order". By then the damage would already have been done. Furthermore, it is very easy to create a blog. Yes, I know we need to have or create a Google account in order to host a Blogger blog, but we do not need to verify our email address, nor do we receive conformation that a blog has been created. So it would be very easy for a malicious poster to set up a Google account and a Blogger blog using someone else's email address, username and identity! One of the issues which concerns Peter is that Blogger allows visitors to leave their comment and URL without having to log in as proof of their identity. Of course, it is the publisher of a blog who decides whether or not to allow anonymous comments, though many do choose to do so in order to generate link love for their blog readers, but is the blog author also responsible for the comments left by their readers? As you may have read in my previous post, I feel that my blog's visitors should be able to leave their URL along with their name when leaving a comment. However, I do understand Peter's concerns, and also that of others who believe such an open commenting system leaves a blog open to abuse from malicious internet surfers. Spam and abusive comments on my blog are rare, though if ever I suspect that my blogs comments are being abused, I reserve the right to delete the questionable comment. Author controlled exclusions for IP addresses or questionable content left in comments. This way, blog authors could exclude the comments of visitors who are known to be malicious, and control any content which could be published without having to manually approve each and every comment made. Other blogging platforms allow the blog author such control over their sites by default, while Blogger seems to allow us very little control over the comments left on out sites, unless we choose to manually approve each comment (which for blogs with high traffic could be a long and tedious task). Blogger may well implement the above policies in comments, but even if this is the case, the author of a blog does not have access to these details, nor are we able to have a greater degree of control over how such policies are implemented. We need to protect our identity online! The Internet is a very difficult place to police effectively. Different countries adopt different policies on cyber-crime and proving who is responsible can be a difficult task in itself. Blogger's does allow more room for abuse than other blogging platforms due to the flaws in its policies regarding accounts and comment policies. Wordpress.com, for example, requires its bloggers to have a unique API key, and logs the IP address of any visitor who makes a comment, while self-hosted Wordpress blogs generally require the author to purchase a hosting package and domain name where the owner's personal details are held by ICANN: the domain name registration authority. However, in my opinion no blogging platform, social community hub or forum is without its flaws. Even if Blogger were to create a closed and carefully monitored system for its members, online impersonation would still be possible on thousands of other sites. In fact, I believe that there is no fail-safe way to protect our identities online. But we can take steps to help us protect ourselves against impersonation online. Google your name and website regularly to find out what others are saying about you. Many people already do this for somewhat narcissistic reasons, but this also serves the pirpose of ensuring your name and blog's identity are not being used for malicious purposes. Set up a newsfeed to receive updates when a new site or page referencing you is indexed by Google. This ensures you are always kept up to date about any issues which may concern you. You can easily set up such a newsfeed here and ensure updates are emailed to you daily. Keep track of sites which link back to your blog. You can do such a search using Google, like this, which will give you a list of all websites that provide a link back to your blog. Also you may want to consider using Technorati and view your blog's profile regularly to see all links from blogs to your own site. Consider creating a membership with QDOS. This is a new service, currently in Beta, which helps members to take control of their digital identity by logging all of their profiles, websites and online activity (eg: blogging, social networking) in one easily accessible place. Furthermore a QDOS score is calculated to determine how active and individual you are online. This service was originally created to help members protect their digital identity, thus ensuring duplicate profiles cannot be created. Membership is currently by invitation, though when you register your interest you will be among the first considered to use this new service. I have just begun to use this myself, and so cannot comment much about how useful a tool this may be, though so far I am hopeful for QDOS' success! Report any malicious abuse of your identity. The first point of reference should be to the administrator/author if the site in question (if this is possible). Alternatively you could perform a WHOIS search to discover the details of the website owner or supplier, then use this information to present your complaint. You can report violations of the terms of service for a Blogger blog directly to Blogger using this form. The Internet is a vast and somewhat uncontrollable place, though thankfully instances of impersonation are infrequent. I hope that this information has answered Peter's comments to the best of my knowledge, and will help others overcome any concerns regarding how their online identity can be used. Skellie who writes Skelliewag.org has produced a truly great article about presenting an authoritative blog which I simply had to share with you all. In her article, Skellie explains that the way a blog is presented has a far greater impact than a huge subscriber count, hundreds of comments on each post or boastful articles about making money could ever hope to achieve! "Why traffic, your subscriber count and money doesn't matter" demonstrates than even a novice blogger can develop the web presence of an authority in their subject field by applying simple (yet effective) tactics to their presentation. Skellie calls this "The Matrix Effect", and makes us understand that what is perceived by a reader may not necessarily be the truth! I really enjoyed reading this post, and hope you also find some useful tips to apply to your own blogs. Please take a quick look and leave me your opinions below. As you may have read in my previous post, Blogger's new commenting system makes it very difficult for readers to leave a link to their blog's URL in their comments. But thanks to Blog Bloke, I have been discovered how to use OpenId to leave comments with a link to my blog URL on Blogger Blogs. This also means that the MyBlogLog comment avatars will still work if you leave a comment in a blog which has enabled these avatars to display (here at Blogger Buster for example). The process is relatively simple, though I admit we do have to take more steps to achieve something which previously took only seconds! Read on for instructions to install and use this new system on your own Blogger blogs. Yesterday I mentioned that some Blogger blogs allow you to sign in using an Open ID/Wordpress/Typepad account. This is only enabled when you publish using Blogger in draft. So, if you would like your readers to be able to leave a backlink on your blog, you must publish your blog using Blogger in Draft, by visiting http://draft.blogger.com in your browser instead of the regular www.blogger.com page. The you will need to change the comment settings in your dashboard, allowing "anyone" to make a comment (go to Settings>Comments in your Blogger in Draft dashboard to do this). This will allow anyone to leave a comment in your blog so that their name will become a hyperlink to their OpenId/profile page, wether or not they have a Google/Blogger account. So long as they choose the correct option to log in. Assuming you have set-up and verified your MyOpenId account, you may now prefer to leave comments where your name will link back to your blog instead of your MyOpenId profile page. For this you will need to verify that you are the owner of your blog by adding some code to the head section of your blog's template. Then whenever you have the option to use your OpenID to leave comments, you should enter the URL of your blog instead of your OpenID URL. This will then substitute your OpenId profile link with that of your blog's URL instead. Also, if you are a MyBlogLog member, your avatar will display in commenting systems where MyBlogLog comment avatars have been enabled. Take a look at my test comments below to see how this works. Although I am glad that I can still create a link back to my blog when leaving comments, and also make use of the MyBlogLog commenting system, I am still rather frustrated that Blogger have made it so difficult for readers to allow links back to their blogs. In order to make this happen, we have to go through far too many steps, whereas the previous commenting system was simpler, easier and far more user friendly. At this rate, Blogger will become a closed system, in which users of other blogging platforms will feel unwilling to comment, perhaps even to visit Blogger blogs. I can understand concerns over comment spam and such, but for me, the cons far outweigh the pros of this new system. Please bring it back Blogger!! I hope this tutorial has been useful in helping you to understand how the new commenting systems work, and also how it is still possible to create links back to your blogs, while allowing others to do the same. Comments are always welcome here, and backlinks should still be followed, so please feel free to leave your opinions below. Blogger have recently introduced a terrible new commenting system which has made it very difficult for any commenter to feature a link to their blog in their comments. We used to be able to log in as "other" in order to create a backlink to our blogs, and also use comment avatars in our comments. Bloggers could also remove the "no-follow" tags to enable link love to those who take the time and effort to leave comments on their posts. Now Blogger blogs have a new commenting system which means we either have to sign in using our Google/Blogger accounts (which only creates a link to our profile pages), comment anonymously or use a nickname. Some Bloggers also have the feature to log in using OpenID/Wordpress/Typepad accounts which does offer a little hope. Unfortunately this doesn't seem to be the case here at Blogger Buster yet. I'm sorry that for the time being you'll need to leave your comments using your Google accounts or sign them with your nickname instead. Heck, I can't even show my face beside my comments anymore! As you can well imagine by the tone of this post, I am becoming increasingly unhappy with Blogger! I really don't understand why Blogger suddenly chose to use the Open ID system and remove the ability for commenters to leave their URL in comments along with their name. Now I fear that fewer people will feel invited to leave their comments on Blogger powered blogs. Worse still, I wonder how many users Blogger will use as so many people these days feel the urge to migrate to Wordpress. Thankfully I did find one solution which may enable you to leave your blog's url on Blogger powered blogs, though you will need to create an OpenID account and add code to your blog's header in order to do so. Once I have been able to make this work for myself I will post a full tutorial for you all, though as Blog Bloke has said, these days we have to jump through too many hoops just to leave our URL on a Blogger powered blog comment! 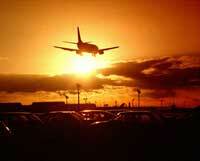 For various reasons, the family and I have decided to jet off for a (much needed!) week's holiday. I am trying my best to get a couple of posts scheduled for posting during the week, and while I may be able to answer a couple of emails, I can't guarantee an internet connection whilst away from home. But be assured I'll be blogging with a vengeance when I arrive home again! Wishing you all a happy start to the holiday season! Blogging exhaustion can happen to any blogger, whether you are relatively new to the scene and working hard to get your blog noticed, or are a blogging pro who's struggling to juggle blogging with work and family life. 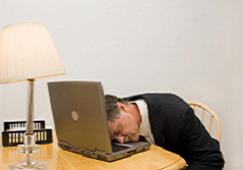 If you've suffered from this yourself, you probably know what it's like: tiredness, headaches, a lack of enthusiasm for posting or replying to comments and emails... This often happens when bloggers work too hard and don't give themselves a break, particularly when they are so passionate about their blog that it takes over every spare minute of the day! I'm writing this post as it seems many others in the blogosphere are feeling the same way. There is no magic pill to overcome this, though I do have some tips which may well help! In my opinion, blogging should be fun! When we begin blogging, most of us look forward to writing our posts, reading comments others have left for us, checking our RSS readers to see what our favorite bloggers have written about recently, and generally enjoying the experience. However, at some point in out blogging lives, many of us will experience blogging exhaustion in one form or another: perhaps a sudden spike in readers overwhelms you with comments, emails and projects which need attention? It could be that despite all your efforts, your blog still doesn't seem to attract as many visitors as you'd like? Whatever the reason, the first thing you should do is take a step back, shut down the computer for a while and have a real good think about why you started blogging in the first place! When you have many commitments aside from your blog, it can seem that there just aren't enough hours in the day. So take some time off from blogging! Spend time with your family or friends, go out for a walk or read a book. It will help, believe me! If you need to spend a few days or more away from your blog, write a quick post to let your readers know. From experience, I can say that readers will understand if you need to take a break, especially if you offer the courtesy of explaining why. Write a list of the things you like most about blogging, and try to focus on these. For example, if you love to write, plan a long and thoughtful post on a subject you enjoy. If you enjoy interacting with your readers, you could ask for their opinions, or simply visit your favorite blogs and leave your own comments on the posts you enjoyed reading the most. If most of your posts are lone tutorials, for example, try creating some short pithy posts instead. On the other hand, if you tend to write shorter posts, try your hand at a long tutorial or review, do some research and see what inspires you to write. This method works well for both you and your blog: as the old adage says, "A change is better than a rest"! Read other's blogs and see what they are blogging about, try a newspaper or magazine in your subject or simply talk to friends. Every blogger needs some inspiration to write, and it often arrives in the most unexpected forms. Once inspired, you can then blog your own perspective on a particular subject, or simply write a post linking to a page which may be useful to your readers instead! We can become exhausted in any aspect of our lives, but many bloggers seem to overlook the pitfalls of blogging exhaustion. I've seen a great many blogs which have been abandoned by their authors, either because the author was too exhausted to continue blogging or because the inspiration to post has simply disappeared. Taking steps to ensure you don't become exhausted or uninspired can help you maintain your interest in your blog, and in the long run will help you produce a better blog which readers can only be attracted to. If you have a long list of labels in your sidebar, you could be losing valuable space to display other information. A different method of displaying your labels is to use a drop-down menu: this takes up very little space at all, and is useful for helping your readers find the information they need. This post explains how a drop-down menu for your blog labels can be achieved in just a few easy steps. First you should make a back-up of your existing template by going to Template>Edit HTML in your Blogger dashboard and clicking the "download full template" link which is near the top of the page. It is always good practise to back-up your template before making any modifications at all, just in case you make a mistake and later need to use your old template again. Then save your template and take a look at your new drop-down menu! Once installed, you can then move the label widget to other areas of your blog in the layouts section of your dashboard, just like any other widget. I hope this tutorial has been useful to you. Please feel free to leave your comments and suggestions below. Over the past couple of weeks, a few people have emailed me about problems displaying ads in their Blogger blogs, most particularly with regard to AdSense ads. For many Bloggers, there are blank spaces where ads are expected to be displayed, even if there are already fewer than the three ads displayed which we are supposed to be able to show on each page. Unfortunately I don't have any answers: I don't know why the ads won't display (particularly on the front pages of blogs), and despite my best efforts at fixing this, I cannot offer you a solution to this problem. 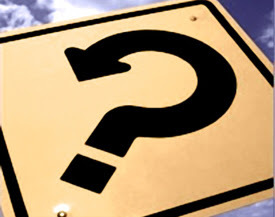 Due to recent events concerning Google and other methods of advertising/blog monetization, I do now have several concerns which I would like to share with you, and would like to know about your own opinions and experiences regarding advertisements in your Blogger blogs. Up to three referral units may be displayed on a page, in addition to the ad units, search boxes and link units specified above. However, many Bloggers have noticed that two or fewer ads will actually display on their pages, most especially on the home page of their blogs. On my own home page, I only feature code to display one Google ad (in the sidebar). However, this single ad will not display on the home page, only on my post pages. From what I've seen in the Blogger help forums and the emails sent by several readers now, it seems that many of us are experiencing this same problem. There are currently some issues with our affiliate code and some sites, such as Blogger or Wordpress sites. We are definitely aware and we are trying to work on a fix for them. I'm sorry for the inconvenience, we will have the affiliate ad codes fixed as soon as possible. Recently bloggers who use TLA have been penalized for their use of this service. Could this be linked to the problems in displaying such affiliate codes? A coincidence, or something more..? Strangely enough, there seem to be few (if any) similar problems displaying AdSense or Text-Link-Ads in Wordpress and other blogging platforms. In recent weeks, Google has "slapped" bloggers who use TLA, Pay-Per-Post and other methods of blog monetization by lowering the PageRank of such sites (for PPP blogs, many have found their PageRank reduced to nil!). It seems that it was about this time that blank spaces began to appear in my own blog where AdSense ads should appear. From what I've been told by blogging friends, the problems in using TLA codes began around the same time too. We all know that Blogger is owned by Google. So is Google trying to tell us something? Are we being warned against using too many methods of advertising in our blogs? Perhaps Blogger is trying to protect us from future loss of authority in the PageRank system by reducing the number of paid links which are displayed throughout our pages. As yet, I can only speculate, though I would like to know if many other Blogger bloggers are experiencing similar problems with their blog's ads. Please feel free to leave your comments, opinions and experiences below. If you have any further information or could provide some clarity about this issue, I would love to hear from you! Today it seems almost all blogs which use Pay Per Post have been reduced to a PageRank of ZERO! I could hardly believe Google would stoop so very low as to punish bloggers in this way when I first heard the news this morning. After the recent lowering of PR for blogs which use Text-Link-Ads and the like, it seems to me that Google are punishing anyone and everyone who uses an alternative (and dare I say, better paid) alternative to AdSense monetization in their blogs! For those of you who do use Pay-Per-Post, please don't worry too much. From what I read in the forums over there, PPP are looking into alternative methods of ranking blogs for paid posts. You can check out this thread for information on this subject. Thankfully I don't feature any paid posts on this site, so my PR has remained stable. I am so sorry for all of you whose PageRank has been reduced to zero. I don't yet know for certain if the strange Pagerank behavior is a temporary glitch or an all round slap for paid bloggers, but you can be sure that once I know more about this, I will be sure to post the info here for you all.